The Peace and Freedom Party supports Eugene Ruyle’s write-in campaign in the 15th State Assembly District. For information on voting for write-in candidates, see this article. For a map of his district, see the bottom of this page. 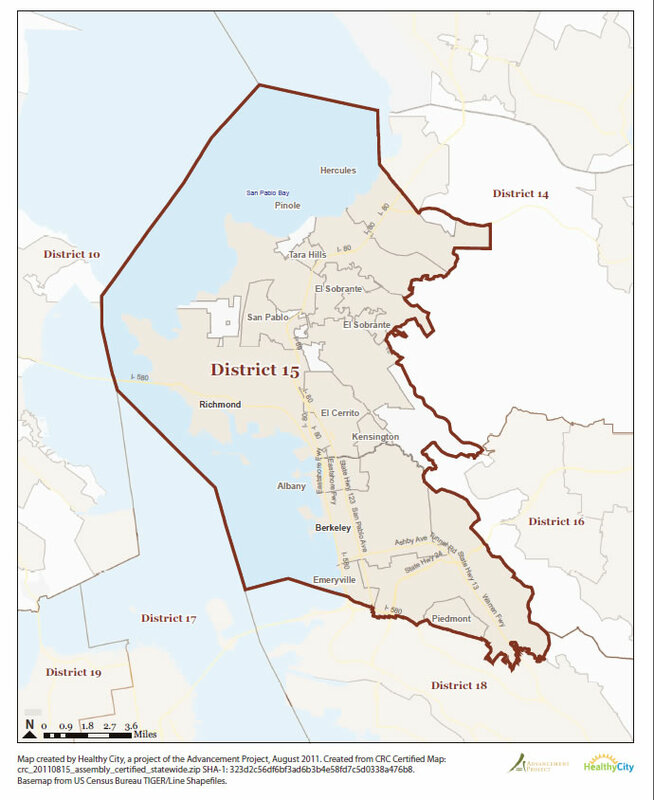 The 15th Assembly District includes portions of western Contra Costa and Alameda Counties from Hercules in the north to Piedmont and parts of Oakland in the south. For a much higher quality map that you can zoom in on, click here. For a larger image of this map, click here.